Services: Cathedral of Our Merciful Saviour ~ Faribault on Wednesday, February 4, 2015 at 10 a.m.
Visitation: The Boldt Funeral Home ~ Faribault on Tuesday, February 3, 2015 from 4 to 7 p.m.
and also at the church on Wednesday for one hour prior to the services. 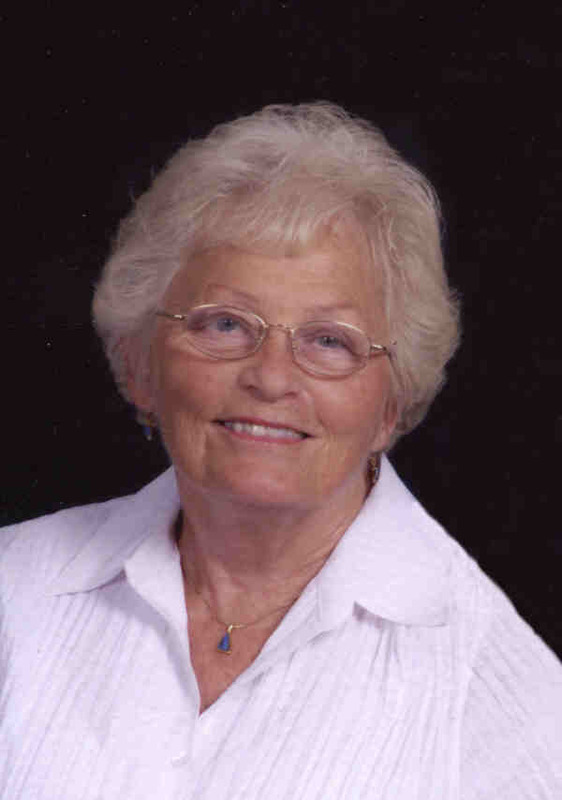 Geraldine M. Schreyer, age 79, of Faribault, died on Friday, January 30, 2015 at Pleasant Manor, Faribault. Memorial services will be at the Cathedral of Our Merciful Saviour on Wednesday, February 4, 2015 at 10 a.m. with the Reverend Henry L. Doyle and the Very Reverend Justin Chapman officiating. Interment will be at Meadow Ridge Memorial Park, Faribault. A memorial visitation will be at the Boldt Funeral Home, Faribault on Tuesday, February 3, 2015 from 4 to 7 p.m. and also at the church on Wednesday for one hour prior to the services. Geraldine M., the daughter of Arthur and Myrtle (Overlee) Carpenter was born on July 10, 1935 in Tracy. Geraldine graduated from Faribault Senior High 1953. She married Donald Schreyer on September 8, 1956 in Faribault. Geraldine was employed by American Greetings and Burdess Publishing Company. She delivered for Welcome Wagon and was a member of the Fraternal Order of Eagles, the Red Hat Society, and the Altar Guild. Geraldine enjoyed wintering in Arizona and Florida with her husband, quilting, crocheting, golfing, flowering, reading, and spending time with her grandchildren and great grandchildren. She is survived by her husband, Donald of Faribault; son, Michael Schreyer of Faribault; two daughters, Karen (and Jeffrey) Manthey of Rochester and Diane (and Terrance) DeMars of Faribault; 5 grandchildren, Megan (and Eric) Ellingson, Britney (and John) Klocke, Nathan (and Emily) Manthey, Sara (and Josh) Bertram, and Sheila (and Brian) Erickson; and 4 great grandchildren, Ethan, Skylar, Gavin, and Kaylie; siblings, Marilyn Bauer of Witchita, KS, Donald (and Leah) Strahl of Milwaukee, WI and Donna (and David) Bolstorf of Wirt, MN. She was preceded in death by her parents, Arthur Carpenter and Arthur and Myrtle Strahl; sister-in-law, Kay Heiskari; and brother-in-law, Dr. Paul Bauer. Memorial gifts may be directed to Faribault Area Hospice. Geri was a wonderful person. Her memories will last forever in our hearts. She always made us feel like family and always knew who we were when we visited her in the nursing home. She was a very special lady. God bless her family and carry on her tradition of keeping everyone close. She loved you immensely and her love will endure forever. I'm so sorry to hear about your mom, grandma an great grandma. It's never easy. No matter what. Thinking of all of u. Don u have been a very dedicated an loving husband. Good for u. Take care.